Hello everyone, I’m back this week to talk about why Nekroz has won the past two ARG Circuit Series events under the new ARG Ban List as well as explain how the deck has changed! After seeing the changes that the ARG list made I was very reluctant to continue playing Nekroz and actually began looking into Burning Abyss. I devised a Burning Abyss variant that was very similar to the Big BA deck that had a big showing at YCS Charleston this past Spring. I played quite a few games with the deck until I realized that playing Burning Abyss without trap cards was going to be dangerous with only two Dantes and one Cir. Knowing that I would have to play more trap cards I immediately dropped the deck and entertained the idea of playing Nekroz. Looking at the changes the ARG list made, I wasn’t very sure what kind of direction I wanted to take the deck, but that’s what countless hours of playtesting were for! With Djinn Releaser of Rituals and Lavalval Chain being forbidden, I found that the biggest issue with the new Nekroz deck was that it didn’t really have anything to do turn one. This is not to say that the previous Nekroz deck ever had infinite ideal things to do turn one, rather it had the Djinn lock to fall back on if nothing else worked. More importantly, the deck had Lavalval Chain, which allowed you to do just about anything because it let you stack any monster or just foolish burial any card. Knowing that going first was going to be even worse than it was in the previous Konami format, I wanted to play cards that would alleviate the stress of “going first.” With Torrential Tribute going to two on the ARG list, I found it very easy to incorporate it into my first draft of this new Nekroz deck (Newkroz), because it was something that may not be expected and would be a huge tempo swing if my opponent made a push for damage. Torrential Tribute was only half the solution though, I wanted to try and find some sort of field to make turn one that would put my opponent on a one to two turn clock and put me far ahead. I then began perusing Dueling Network for a diamond in the rough, similar to anyone ever using Tinder. As I scanned each page of the Dueling Network card database I found myself constantly swiping right as nothing seemed appealing to me. I then made an eye-opening discovery, as I remembered when Mermails used Aqua Spirit to fuel their rank four plays. Aqua Spirit seemed perfect because it offset the deficit that one Unicore introduced; with only one Unicore, Nekroz lost its ability to make easy rank fours while gaining advantage in the process. Nothing in the current card pool was going to be as free as using Kaleidomirror to send Herald of Arc Light to the graveyard, and then summoning a Unicore while also searching any combo piece in your entire deck. Aqua Spirit was the strongest alternative I found because you can banish an Exa or a Great Sorcerer from your graveyard and trigger their effects for extra spicy combos. Subsequently, I began putting multiple cards together in self made hands and looked for new combos with Aqua Spirit. As I mentioned earlier in the article, I wanted to find something effective to actually do turn one, which made me wonder what kind of fields I could make with an Aqua Spirit thrown in the mix. Following multiple horrendous ideas I finally found a combo that worked well and didn’t have insane requirements. The only drawback to this combo was that I couldn’t do it turn one without a perfect hand, but I digress. As I drew hand after hand I found that I was consistently able to make a rank four with three materials if I ever wanted to, enter Bujinki Amaterasu. Amaterasu was exactly what I was looking for because of its two effects. Since this card has not seen play in quite some time, I will display the card text below. You can only control 1 “Bujinki Amaterasu”. Once per turn, during either player’s turn: You can detach 1 Xyz Material from this card; apply this effect, depending on whose turn it is. Your Opponent’s turn: Target 1 of your banished level 4 or lower monsters; add that target to your hand. Since Nekroz mirror matches are much longer with Trishula absent, the resource game became even more vital to winning the match. At the time I wanted a card that would allow me to recycle the cards that I was banishing that wasn’t Dance Princess. I wanted a card that wasn’t Dance Princess because I wanted to reuse a banished Dance Princess too! While Exa is capable of special summoning the Dance Princess, I usually preferred bringing back a Shurit or a Great Sorcerer. You’re still probably wondering, “Where does Amaterasu play a role, and what does the combo look like?” Not to worry, I was getting to that! Requires: Hand: Manju/Senju, Aqua Spirit, Nekroz Mirror. Use Nekroz of Brionac’s effect to search for Nekroz of Valkyrus (assuming you didn’t already draw it). At this point you can pass your turn and immediately on your opponent’s you can trigger Amaterasu’s effect to add back the banished Great Sorcerer (or any other level 4 or lower monster) to your hand. After this play is completed you have a Valkyrus in hand to protect your Amaterasu, you retained the same amount of cards you had to begin with and you’re ready to combo off again on after your opponent’s turn. It’s also important to note that Amaterasu is a Beast-Warrior monster, which means he does not fall victim to Puppet Plant. After finalizing this new combo I had immediately texted my best friend Alyxander Lisgathe and said, “I think I fixed Nekroz,” which was something that made Alyx curious because he, along with quite a lot of other people, thought the deck was irreparable. Alyx and I discussed the new Nekroz deck extensively and began to playtest almost every night on Dueling Network. As we played night after night, I found that Aqua Spirit might not be as necessary in the Nekroz deck as I first thought, because making rank four plays was never the primary focus of the deck in the first place. Rank fours are undeniably the most accessible and most powerful generic Xyz monsters, but they shouldn’t be the primary focus of a Ritual deck, especially when most of the Ritual monsters are just better than the Xyzs that you’re investing your cards into. Upon realizing this, I cut the Aqua Spirits from the deck and geared the deck towards gaining advantage and OTKing my opponents. With the absence of Aqua Spirit I cut the Amaterasu play from my deck instantaneously, which made me sad, because I think that play is awesome and could still have a place in the deck at some point in the foreseeable future. The first week of testing for the ARG format came and went, and with it arose new ideas courtesy Jeff Jones! I spent the week of ARG Charlotte in Michigan, which is where Jeff and I brewed our “Newkroz” deck. Without Nekroz of Trishula we found the mirror to be much more enjoyable as you could leave cards on the field without fear of being devastated by Trishula. The Nekroz mirror had evolved into something that we thoroughly enjoyed because there was no stupid blowout card that forced us to play awkwardly in place yet. One of the first things we discussed was the ratio of Mirrors we wanted to play. There was mutual agreement that Cycle should be a three of as it is the most important following turn one. I was originally set on using two copies of Kaleidomirror but after playing enough games I found the second one to be incredibly useless. This prompted me to up the quantity of Nekroz Mirrors I played to three. The final ratio is Nekroz mirrors was 3 Cycle, 3 Mirror, and the one lonely Kaleidomirror. Jeff and I desperately wanted to attend the ARG in Charlotte that weekend because we felt great about our deck, but we unfortunately were unable to attend. Even though we didn’t go to Charlotte, we watched the stream all day to see how everyone else decided to play Nekroz. We were pleasantly surprised when our spicy hot tech, Gorz the Emissary of Darkness, had seemingly been overlooked. Gorz was perfect for the Nekroz mirror match because, without Trishula, the deck struggled with clear bigger monsters (outside of Gungnir). More importantly you usually had a Gorz with 2700 and a token with an average attack strength of 2900, which meant that killing your opponent through Valkyrus in the mirror was a lot easier. Normally you would have to land a hit of 2000 or more on your opponent to push through a Valkyrus and win with Nekroz of Gungnir, but with Gorz in the mix, killing your opponent through Valkyrus became much easier. For those who may not fully understand where I’m coming from here, lets do some math. With all of these combinations you can put a minimum of 11,200 points of damage on board and a maximum of 12,200, depending on the attack strength of the Gorz token. With Gungnir in play any of these combinations will allow you to swing through Valkyrus and reduce your opponent’s life points to zero. Jeff and I were extremely hyped about Gorz not being noticed yet, until we saw Jake Phinney’s deck list on ARG’s website. Jake main decked one Gorz and sided two additional copies for the Nekroz mirror match. Despite Gorz being publically displayed, I still wanted to use it in my Nekroz deck because I thought it would give me an edge in the mirror despite being known about. Looking at the rest of the Nekroz lists that topped Charlotte, I noticed one major thing. Remember how I said, while testing the Nekroz mirror we were happy about there not being a degenerate card that would force us to play awkwardly? That serenity didn’t last long as every single person playing Nekroz in the Top 16 at Charlotte (6 players) used Puppet Plant in their side decks. Puppet Plant became the new “Trishula” after that event, because it forced Nekroz players to clear their fields of Spellcasters and Warriors. With Puppet Plant in the mix, Nekroz mirror matches once again became a game of creating a field and then using Valkyrus to clear it. This made Maxx “C” a lot stronger against Nekroz for obvious reasons. Before Puppet Plant was unearthed and Jeff and I were testing, we cut Maxx “C” from our decks because taking one for ones with non-combo pieces wasn’t something we were into. For the first two waves of Nekroz, there was a Trishula to worry about, which meant you had to extend into a Maxx “C” to clear your field with Valkyrus or risk losing even more cards to a Trishula. Comparably, Maxx “C” all but forces the Nekroz player to extend with a Valkyrus and clear the field. With Puppet Plant seeing play in every single Nekroz deck, the first thing I thought of using was Skill Prisoner. 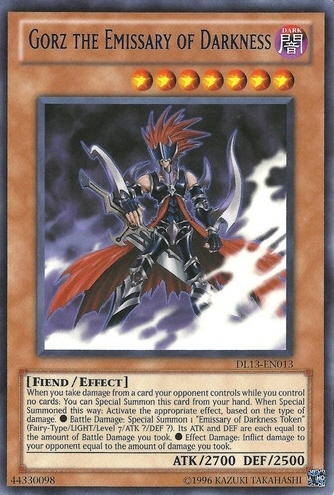 Skill Prisoner is a trap that negates the activation of a monster effect that targets any card on your side of the field. Not only does Skill Prisoner prevent Puppet Plant from ruining your day, but it also stops Gungnir and Decisive Armor from depleting your card advantage. I played one game with Skill Prisoner in the mix and it was actually terrible. I discussed things with Alyx again and he proposed that we just use multiple Decisive Armors, because Decisive Armor cannot be Puppet Planted as it is a dragon-type. As the week of Providence progressed, things were starting to take shape and Alyx and I were main decking Puppet Plant. Main decked Puppet Plants seemed like the best call as Nekroz had just won the previous event and Puppet Plant was live against everything except Qliphort. I flew into Providence on Friday morning where I met up with my friend Azad Deihim and we walked back to his house where Jeff and I were finally reunited! We all discussed our opinions on Nekroz for this event, and while Jeff and my opinions clashed with Azad’s we remained productive in our last minute testing. The main parallel between Azad’s and my thinking was the idea to main deck Puppet Plant, which worried me. I began to wonder who else could have possibly thought of main decking Puppet Plant, and I found out that quite a lot of reputable players had the same plan. I played a few games of the Nekroz mirror with my friend Sam Cohen and I found that Puppet Plant was a dead card in my hand, in game one. Sam knew that I was main decking Puppet Plant, which provoked him to play around it the entire game. As the games came and went I took Puppet Plant out of my main deck because I didn’t like that the card wasn’t a combo piece and just sat in my hand. When Nekroz of Trishula was a factor in the mirror match and both players would play around it, it wasn’t like the card was dead in hand. Trishula could prevent targeting effects and even attack for 2700 if need be. Puppet Plant will literally sit in your hand if your opponent plays optimally, which means the most value you will get from it is a card off of Valkyrus. ARG Providence came and went as Nekroz took the top spot once again, and after looking at the deck lists I was pleasantly surprised that 4/8 Nekroz players main decked Puppet Plant in the main deck. Even more interesting, 3 out of the four players in top four main decked Puppet Plant in their Nekroz decks. After the event I got a text from my best friend Alyx telling me I should have just played the Puppet Plants in the main deck. While he was most assuredly correct, I still felt unsure about Puppet Plant in the main deck. With Nekroz winning the past two ARG events under the new format, I began to wonder if it will potentially be hit in some way prior to the $25,000 Championship in Philadelphia. Only time will tell, but I hope you all enjoyed listening to my process of developing my Nekroz deck as I hope it fairs better in two weeks at the 25k! Until next time duelists, Play Hard, or Go Home!